There are days in everyone’s life when they feel overwhelmed by the stresses and tasks and projects and phone calls and emails that weigh upon them. Yes, even the minimalists like me get overwhelmed from time to time. How do you deal with it? There are many ways, of course, from eating and smoking and drinking to exercise and meditation and more. My recommendation: Cut back. Simplify. De-load. I think the tendency for most of us is to say “yes” to most of the things coming into our lives. Maybe it’s that we’re too nice to say no. Maybe it’s that we are overly optimistic about how much we can get done. Maybe we don’t want to look bad by saying we can’t do something. Or maybe we’re afraid to miss out on opportunities by saying no. Saying “no” to any commitments we can’t handle would be ideal, of course, but like I said, we usually have a tendency to say “yes” to more than we can actually handle. And we become overwhelmed, stressed, and exhausted. As you know, simplicity is the key to my philosophy. If things get complicated, I say you should simplify. Don’t try to do more. Reduce. We all know that too much stress is bad for us. Sure, you can’t avoid stress completely, and without some stress we would never grow. But too much stress? It leads to problems. Stress leads to many health problems, for example: headaches, muscle aches in your shoulders, neck, back … it ages you prematurely, leads to ulcers, heartburn, high blood pressure, heart disease, overeating and more. Not a pretty picture. But there’s more. Overloading yourself also leads to decreased effectiveness. Taking on too much means we don’t do as good a job with the work we attempt. We often switch between tasks, jumping from one to another, so that we actually take longer to do things and often don’t complete tasks. Or we’re so rushed with the tasks we do complete that quality suffers. I submit that doing less makes you more effective, and thus more productive. It’s worked for me, at least. I have a tendency to slash things off my to-do list, to cut back on my projects when I feel overwhelmed. The result? I’m less stressed, and I actually complete projects — from my ebook to this blog to projects at my day job to new projects I’m finishing up … I’ve been getting very good at knocking out the 2-3 projects I have on my plate at any given time. Negative coping: Some of the more common methods of coping with stress and overload include eating, smoking, drinking, and shopping. We’ve all done it, so I’m not judging, but I view these things as negative coping. Again, I’ve done all four (as well as others), so I know that they can feel like you’re really de-stressing … but in fact, they can actually lead to more stress. Eating, smoking and drinking, if overdone, are unhealthy … and when you do something unhealthy, that’s stressful to your body. Shopping is bad for you financially (again, if overdone) and that leads to financial stress. While these things can give you temporary relief, they are not good in the long run. Positive coping: These are things I always recommend — exercise, relaxation techniques, Yoga and meditation, taking a hot bath. These lead to less stress, and you should do them every time you get stressed. I replaced smoking with running, and it was the best thing I’ve ever done. Reducing the stress: Even better than the positive coping methods, of course, is reducing stress at the source. What is stressing you out? See if you can reduce that source of stress. For this article, we’re going to assume that it’s your workload, whether that’s personal or business work. And the way to reduce that source of stress is to cut back on your workload. Let’s look at how to do that. The problem is, most people who are overwhelmed feel like they just can’t cut back. They feel like they need to work harder to get everything done that needs to get done. They think that taking a break, or cutting back on their workload, is out of the question. If that’s you, you’re probably the person who needs to cut back the most. Of course, I’m not in a position to judge you, but it’s something to consider. 1. Step back. In order to make the decisions necessary for cutting back, you need to take a few minutes to clear your head and think. Stop whatever you’re doing (or if you can’t, then schedule 30 minutes for sometime today), and take some time to consider everything you have going on. Take a walk to clear your head if necessary. Get some fresh air. 2. List everything. Make a list of all your tasks and projects (or one list for each if you like). Put everything on there, including personal stuff, civic commitments, everything. In order to make good decisions, you’ll have to see everything at once. 3. Set limits. It may seem impossible, but if you set limits for yourself, you will be forced to choose only the essential. The actual limits aren’t as important as the act of setting them at this point — you can adjust the limits later depending on what works for you. I recommend you choose just 3 important tasks to accomplish today, and limit yourself to only 3 projects. 4. Prioritize. Once you’ve set the limits, you can take a look at your long list of tasks and projects, and choose which ones you’re going to focus on. Which tasks and projects are the most essential? NOT the most urgent, but the ones that will get you the most long-term benefit. Which ones will have the most impact? Often some tasks and projects will seem urgent, but it’s only in our head. If you ignore them, they often lose their urgency (not always, but many times). 5. Eliminate. Of the tasks and projects you didn’t choose as your top priorities … are there any that can be just eliminated? Any that you can put on a someday list? Any that can be delegated or automated? You don’t need to do everything on your list — slash it mercilessly. 6. Renegotiate commitments. Of the stuff you decide not to do now, but can’t just eliminate or delegate … you’ll need to renegotiate them. Go to the person or people you’ve committed yourself to, whether that be a boss or a client or a team or a spouse or friend, and tell them honestly that you just cannot do everything on your plate right now, and ask for a different deadline or timeline. Can they wait a week? A month? Set a new date, and try to stick to it. 7. Take time off. This step is optional, of course, but if you can possibly take a day or half a day or even several days to relax and recuperate, that’s the best possible scenario. That will mean renegotiating everything on your list, probably, so that you don’t feel stressed while taking time out or overwhelmed when you get back. Push everything back a week, two weeks, or a month, depending on the commitment, so that you don’t have anything urgent when you get back. Then take time off, and don’t do any work. Don’t even think about work. Do that when you get back — upon returning to work, take at least 30-60 minutes to prioritize and plan so that you can focus on your most important projects and not be overwhelmed (see next step). 8. Create the ideal workday. What would your ideal workday be? When would you work on your most important tasks? When would you start and end? When would you take breaks, hold meetings, have lunch? I suggest mapping out your ideal workday, with blocks of time for certain types of tasks. For example, I might choose 2 hours in the morning to write, another hour for communication (email, etc), 2 more hours to work on my most important project, an hour to exercise, an hour for smaller tasks, etc. By creating this map (and sticking to it as much as possible), you create a structure that will prevent you from becoming overwhelmed, and that will have you at your most effective. 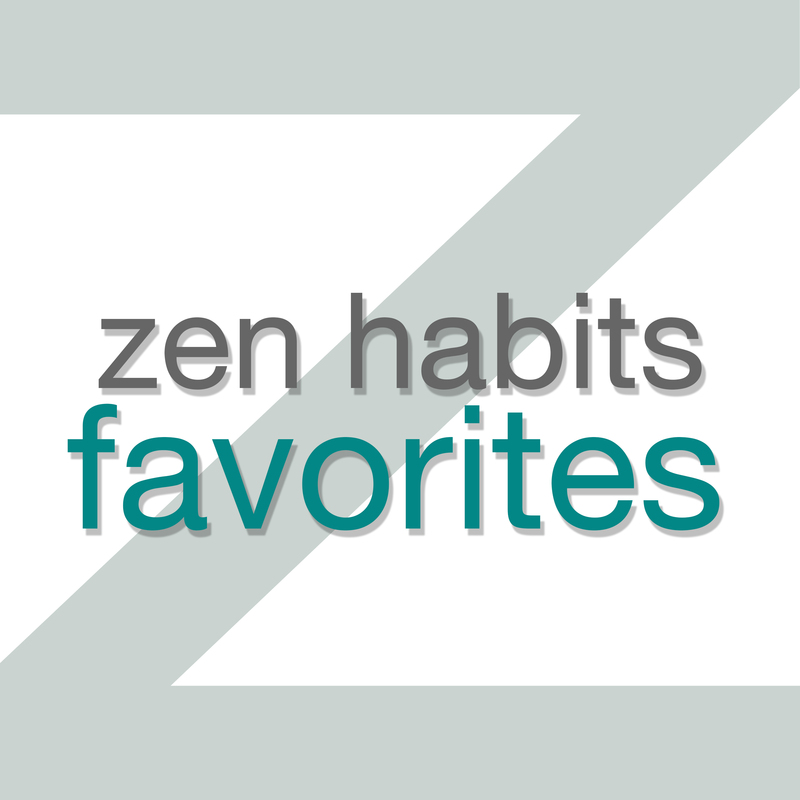 A Guide to Cutting Back When You Feel Overwhelmed was originally posted on Zen Habits on 1/16/08.